It’s time for another classic homemade beauty recipe. 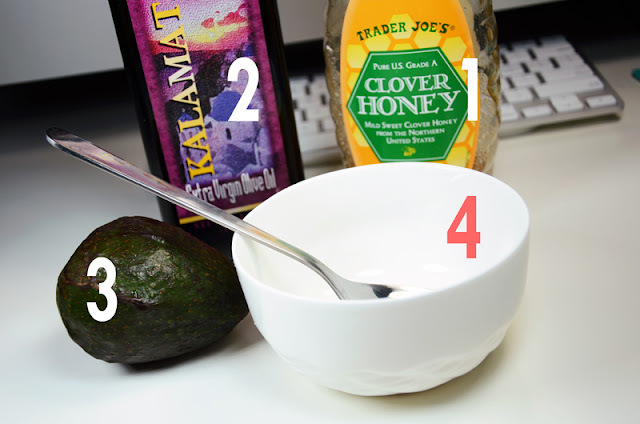 This DIY face mask incorporates some of the most common ingredients we have in our kitchens. It’s a wonderful treat for all skin types, especially to soothe dry skin and to cleanse oily skin. As I have used in my Honey and Olive Oil DIY Face Mask, these are two of my favorite skincare products. Honey has tons of anti-oxidant and anti-bacterial properties, and olive oil is an amazing solution for dry skin. 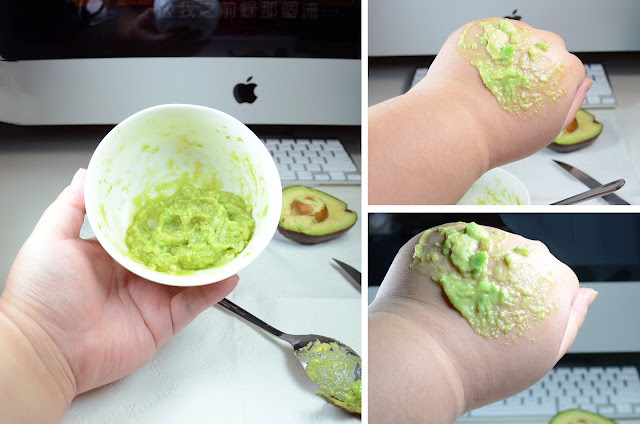 The star ingredient in this DIY recipe is avocado. This exotic fruit is not only an excellent food product with many nutritional benefits. It also offers natural skincare abilities that are great at deep cleansing the skin and preventing acne breakouts. It contains many vitamins and acids that are essential for a smooth and refreshed skin. 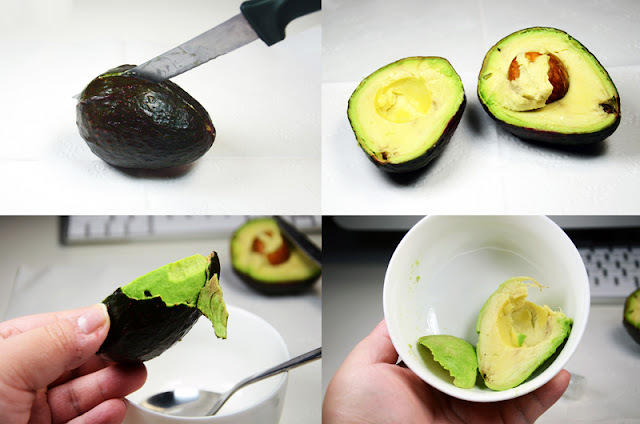 Cut a ripe avocado in half, remove the seed, and peel off its skin. I usually just eat the leftover avocado. This is wonderful in a homemade salad. 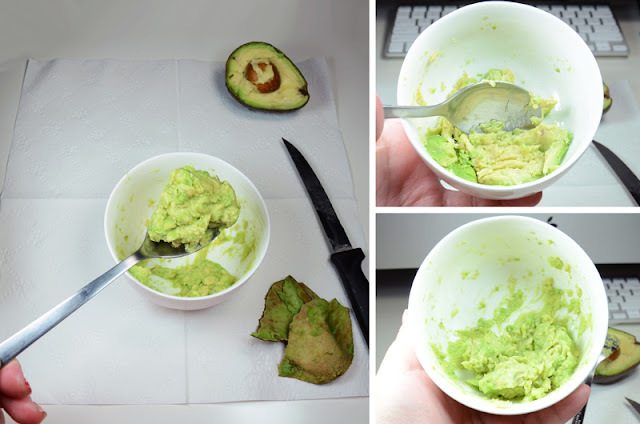 Smash the avocado into a creamy texture. 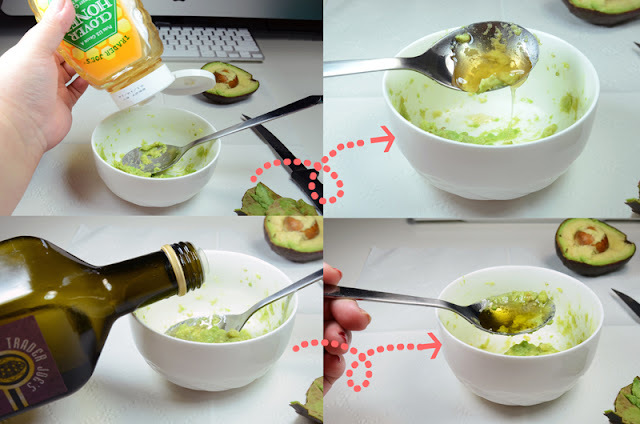 Stir in some honey and olive oil (less than 1 tbsp each). Apply this mask to your clean face and leave it on for about 15 minutes. Rinse off with water afterward. And now your skin should be moisturized and smooth. You do want to be careful when using this if you have sensitive skin as I did experience a bit of tingling sensation but no apparent redness afterward. Overall, this is an excellent mask for both dry and oily skin. What are your favorite DIY projects? And do you pamper yourself occasionally with a soothing and enjoyable facial treatment? With oily eyelids, some makeup just slide off right away even when prepped with a primer or base. Thus, you can understand my excitement when I encounter an outstanding product that doesn’t melt off of my face at the end of the day. If you have similar concern, you’ll definitely love and go crazy for the Stila Stay All Day Waterproof Liquid Eye Liner ($20 for 0.016 oz). If you are considering a new facial cleanser for summer, I have some great recommendations for you today. Check out these excellent choices from Philosophy. Personally, I think it’s one of the best beauty brands when it comes to products for a through and effective daily cleansing routine. You’ve probably read about the legendary Eve Lom Cleanser ($50 – $135 for 1.7 oz – 6.7 oz). With a loyal following, it was named by Vogue magazine as “probably the best cleanser in the world”. This is a very bold claim, and as a beauty junkie, I just have to find out for myself. I’ve reviewed a few unconventional nail products before, and while browsing through my camera today, I discovered these forgotten images of the Ciaté Velvet Manicure Kit ($19) so let’s give this bizarre nail trend another try.